Credit: M. Kaufman; B. Saxton (NRAO/AUI/NSF); ALMA (ESO/NAOJ/NRAO); NASA/ESA Hubble Space Telescope. People call this the 'Eyelid Galaxy', but I don't see it. 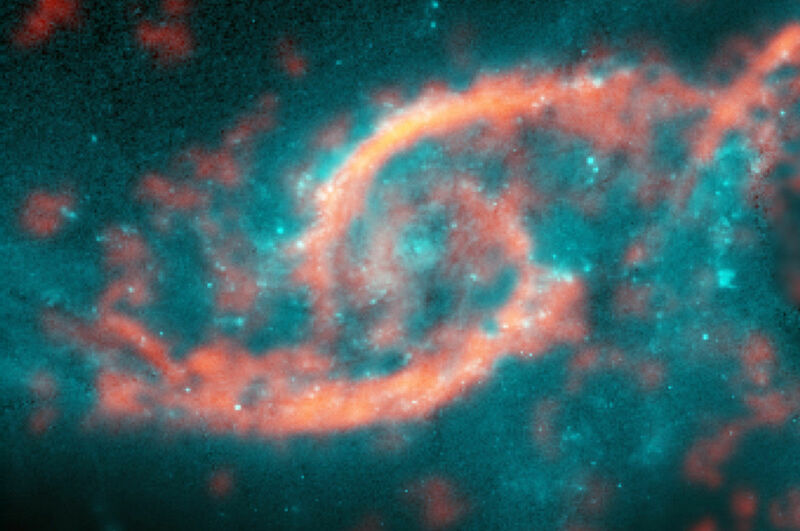 To me it looks like a huge whirlpool, hundreds of thousands of light years across. It's the site of an immense collision: A galaxy called IC 2163 slammed into a galaxy called NGC 2207. There are two galaxies in this picture. OK, there are hundreds (it's space after all), but we're only interested in the orange blob-like one and the blue arc-like image of the one behind it: The orange one is a gigantic elliptical galaxy, and it's huge gravity is warping the space around it. That space warp acts like a titanic lens, magnifying the blue galaxy in the background. Oh dear ESA, will you ever land something safely on Mars? To be fair to them the red planet is a tough nut to crack, with many ships and landers vanishing there. 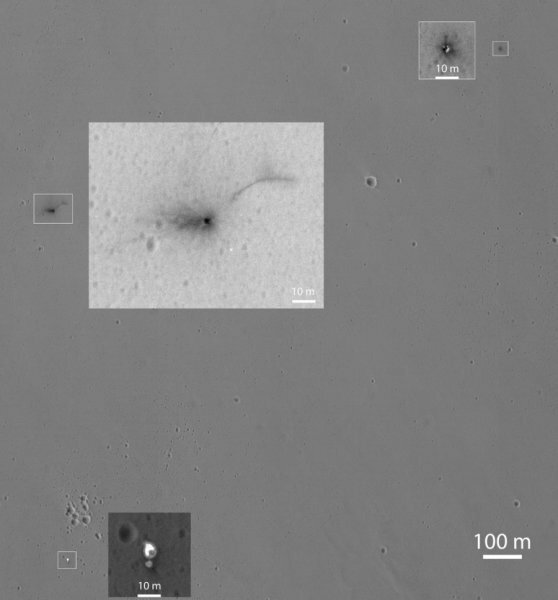 NASA's Mars Reconnaissance Orbiter is investigating the crash site, where Europe's Schiaparelli test lander hit the surface last week. More details here. 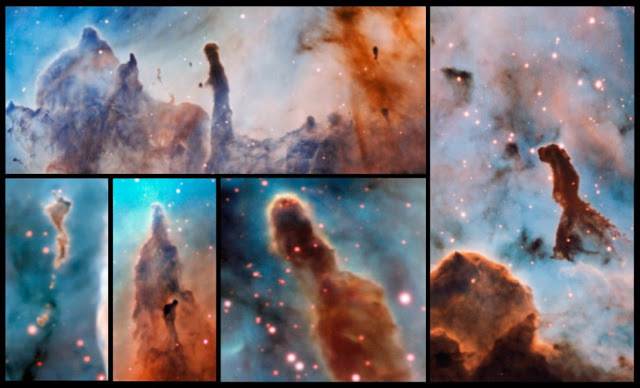 These pillar-like structures are part of the Carina Nebula, and are light years tall and wide. Like politician's promises they look substantial but are actually just dust and gas, sculpted by the radiation and stellar winds of the powerful young stars within the nebula. The pillars were imaged with the MUSE instrument on ESO's Very Large Telescope, by a team led by Anna McLeod, a PhD student at ESO. The name comes from the pillar's fate: The stars that shaped them will eventually blow them apart. 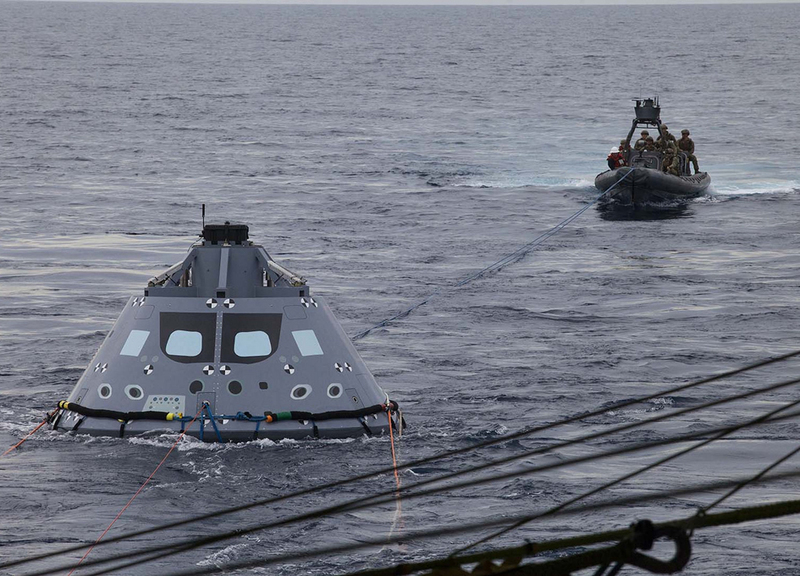 Orion is NASA's new super space capsule, designed to carry astronauts to destinations including an asteroid and Mars. Here, in a joint operation with NASA, the US navy are rehearsing the recovery of an Orion capsule after splashdown. China's powerful new heavy-lift rocket lifted off from the Wenchang launch centre on Hainan Island, off China's southern coast, at 8:43 a.m. EDT November 3rd, according to Chinese media reports. 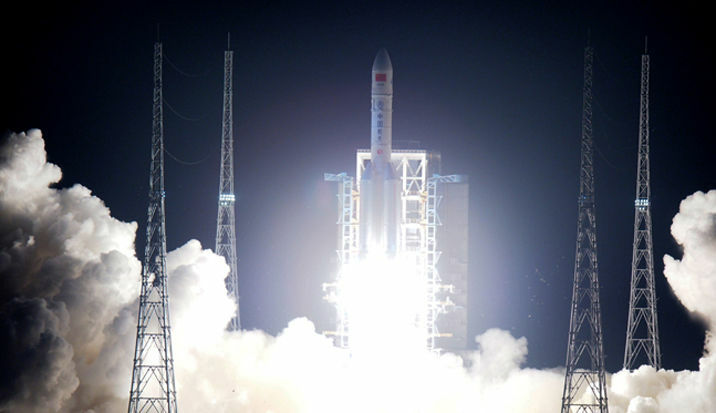 China is (I think) weirdly secretive about it's space launches, but word is the payload carried to orbit was an experimental satellite called Shijian-17, which is designed to test electric-propulsion technology. 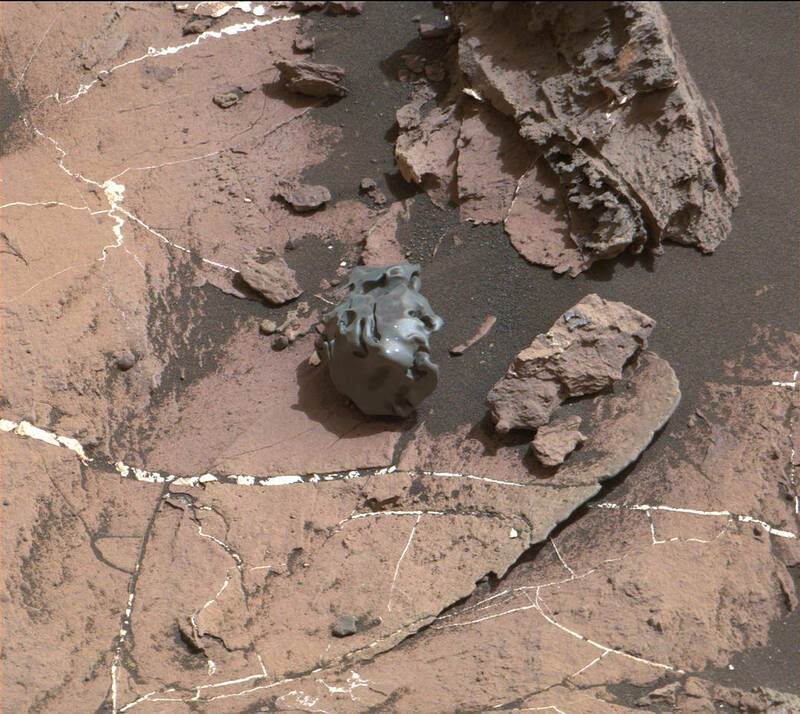 The dark, smooth-surfaced object at the center of this picture from NASA's Curiosity rover is a iron-nickel meteorite - the same kind that regularly falls on Earth - sitting on the Martian desert. The grid of shiny points visible on the object resulted from that laser zapping by Curiosity's Chemistry and Camera (ChemCam) instrument - it shoots stuff with a laser and studies the gasses emitted to see what it's made of. I swear it wasn't there to start with. Well. I couldn't be totally sure of that without being on Mars. I'm reasonably sure - find out more about it here.